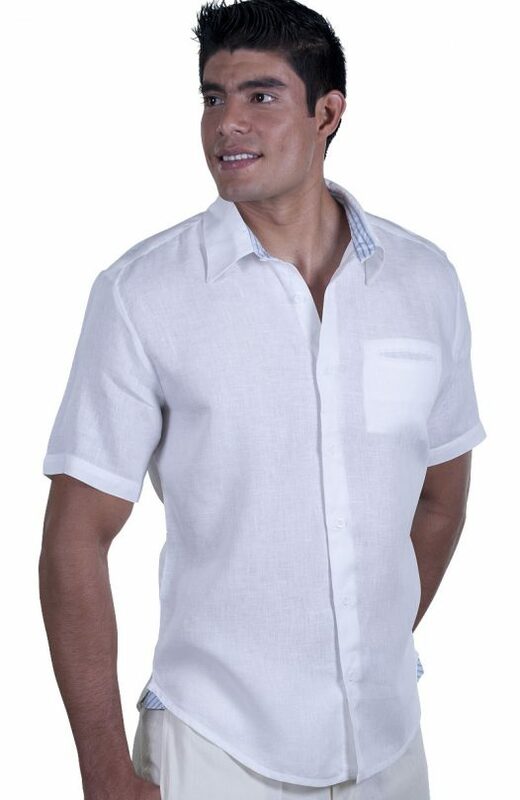 The Mauritius Italian linen shirt is a classic style of classic elegance with a modern twist. The Mauritius features 9 finely crafted rows of pintucks running down the shirt front with a simple embroidery running close by. Choose from over 350 different colors for your embroidery. 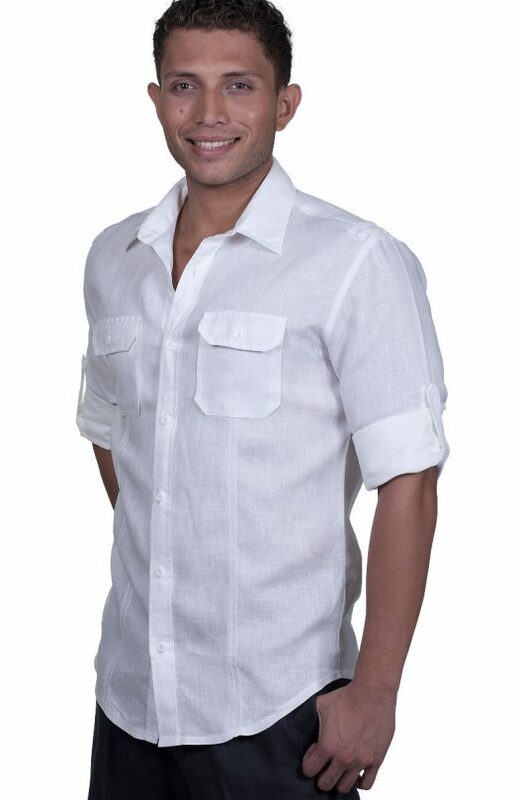 Features a fitted cut and a slightly curved shirt tail hem standard but can be changed to a relaxed fit. 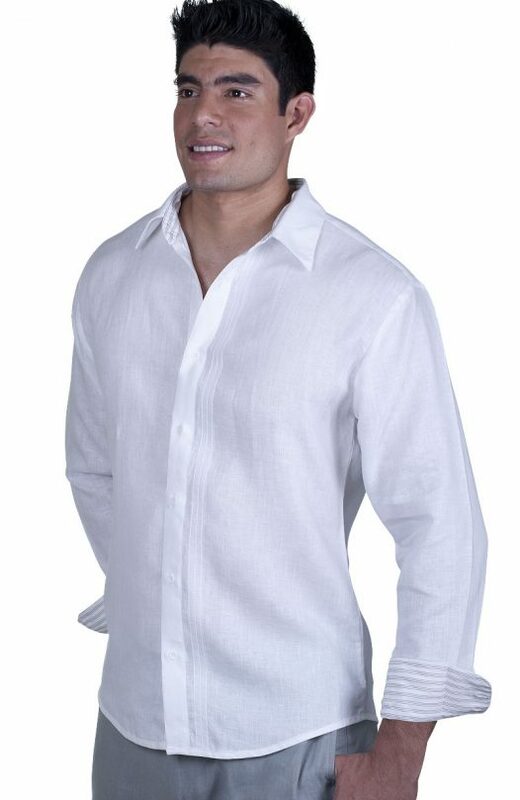 Choose from 24 different fabric colors. For color info for fabric, embroidery, and pants, hover over the thumbnail image. 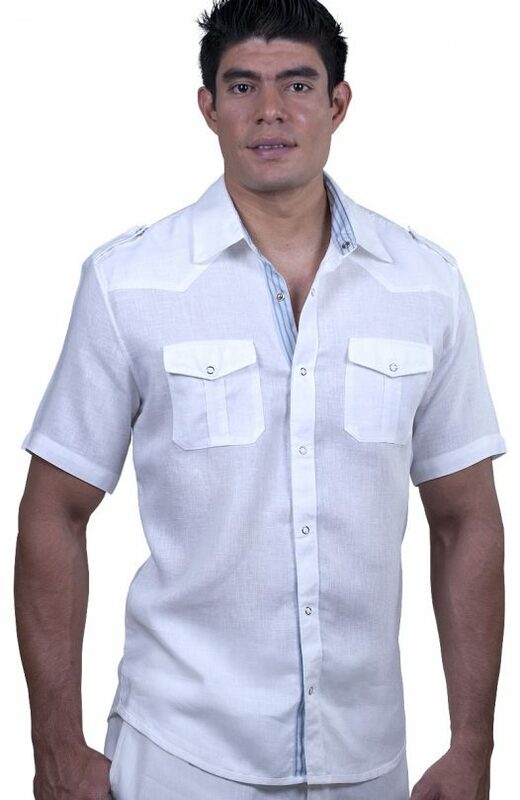 The Mauritius Italian linen shirt of classic elegance but with a modern twist. 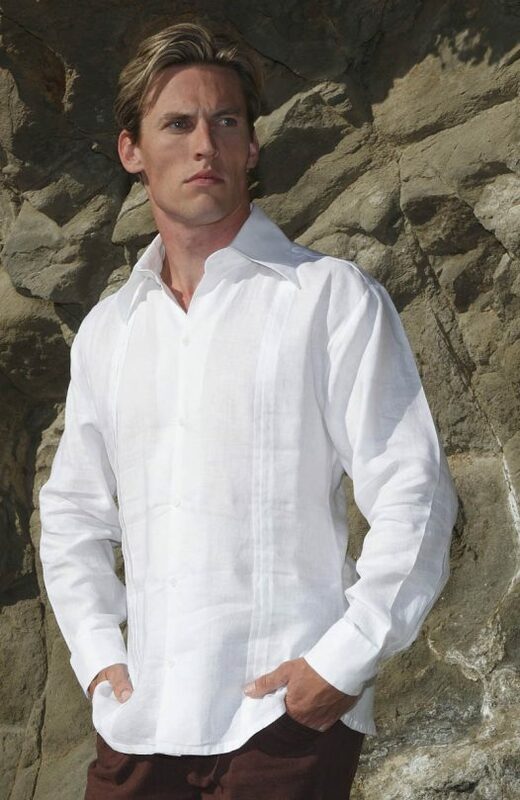 The Mauritius comes in a fitted with shirt tail hem style, it features 9 finely crafted rows of pintucks running down the shirt front with a simple embroidery running close by. 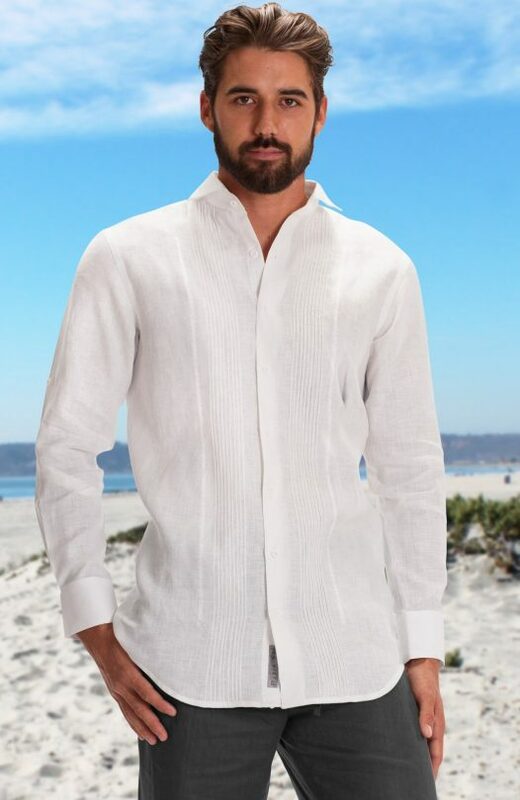 Choose from white or bone, standard stock comes in long sleeve only..